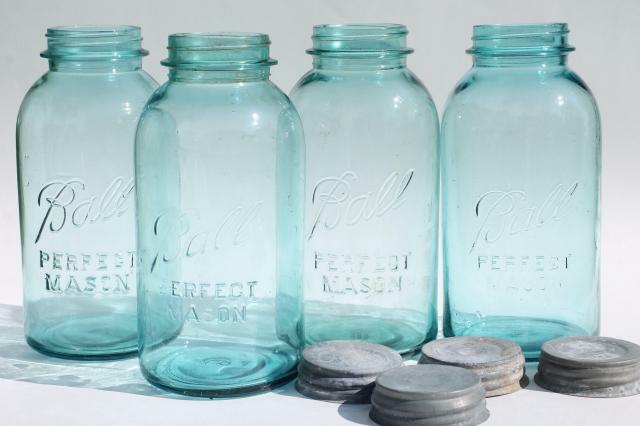 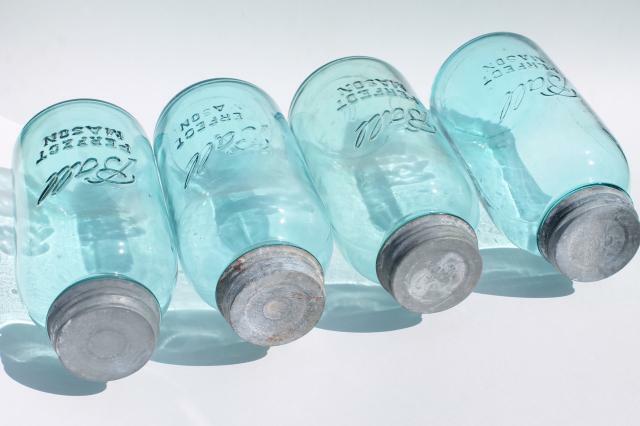 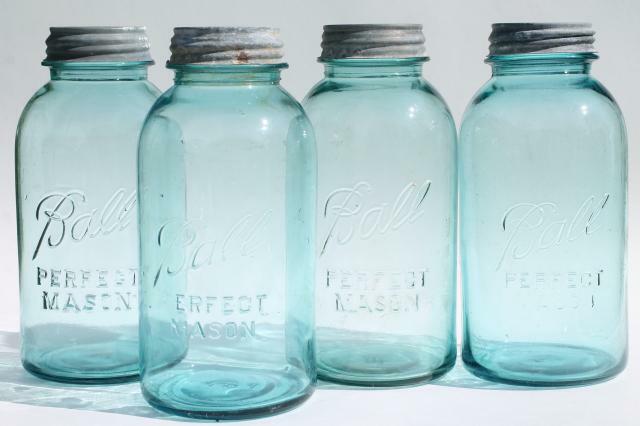 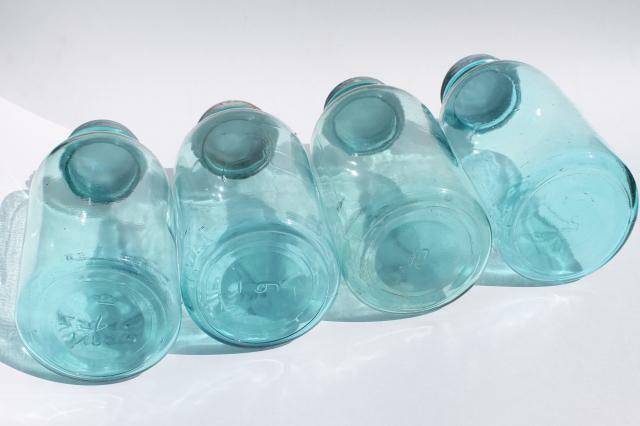 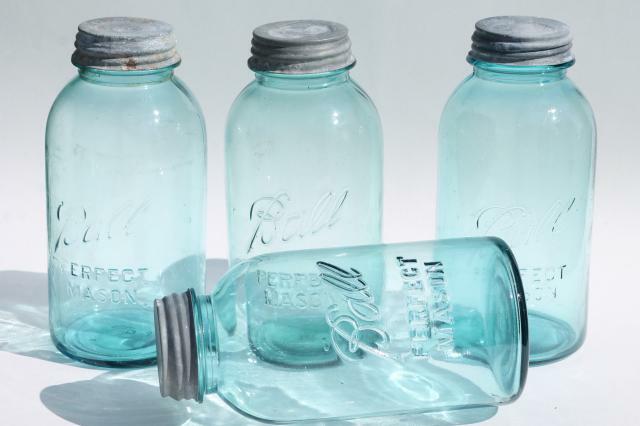 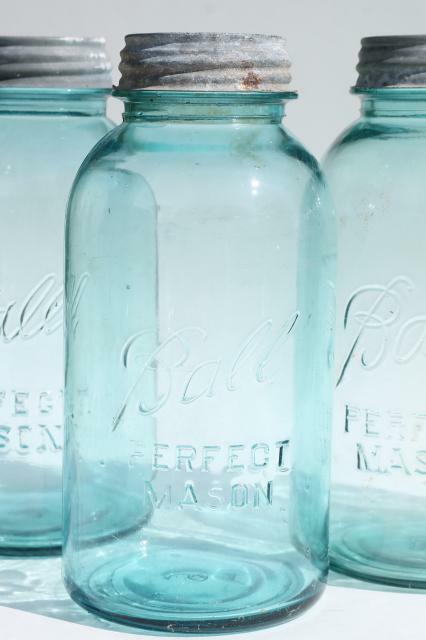 Lot of four vintage aqua glass canning jars, Ball Perfect Mason jars in the hard to find two quart size, about 9 3/4" tall. 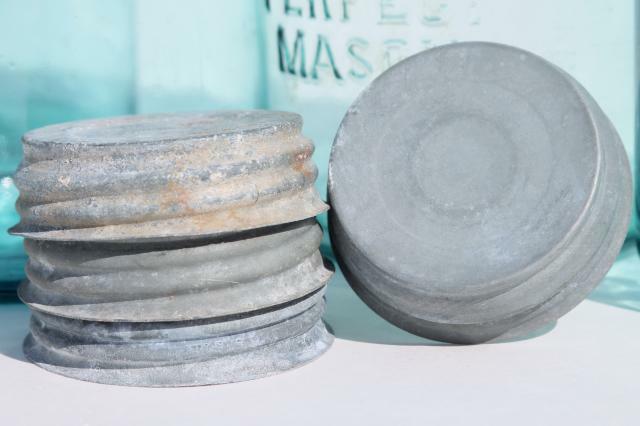 These are in good condition with very minimal wear or roughness to the jar rims. 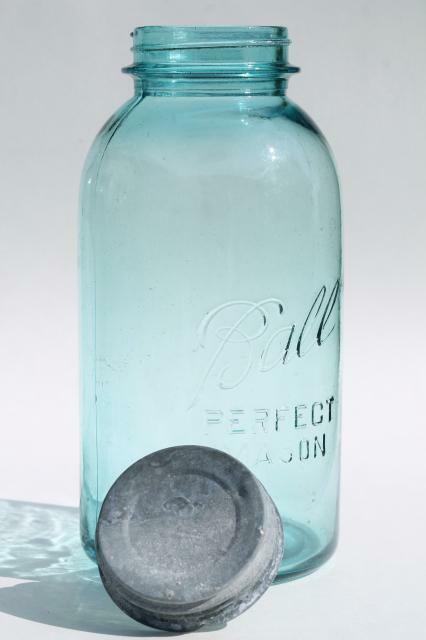 They have the antique zinc metal screw top lids as shown.